For decades, the International Agency for Research on Cancer (IARC) warned coffee drinkers that their favorite beverage might cause cancer. 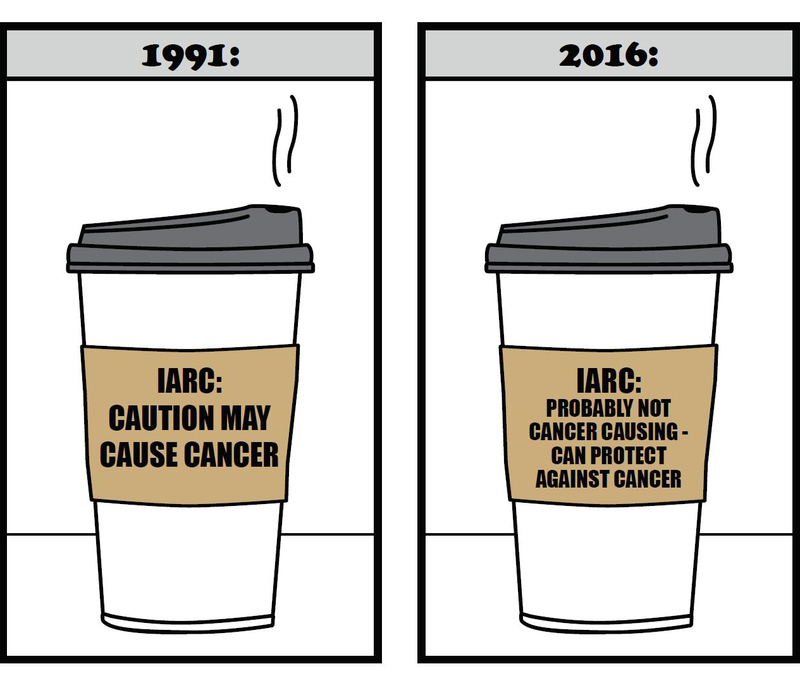 Finally, IARC revisited its decision and reclassified coffee, downgrading it from “possibly carcinogenic” to “not classifiable.” While this decision is a step in the right direction, it raises new questions and concerns. Coffee has been a consumer favorite and commodity staple for centuries, with widespread production and consumption beginning in the 17th century. It is the second most widely consumed beverage, behind water, making it an extremely valuable agricultural commodity, particularly for developing countries such as Brazil, Vietnam, Indonesia, Colombia and India. Coffee is also a major driver of small businesses, with coffee shops and chains supporting entrepreneurs and workers around the world. In 1991, IARC classified coffee as a Group 2B carcinogen (possibly carcinogenic). IARC claimed the data was “consistent with a weak positive relationship between coffee consumption and the occurrence of bladder cancer” but conceded that “the possibility that this is due to bias or confounding cannot be excluded.” No other cancer associations were found by IARC. This shift in opinion was a step in the right direction for an agency that has examined almost 1,000 agents over the past 30 years and has only once classified a substance as “Probably not carcinogenic to humans” (Group 4). It was surprising IARC did not categorize coffee in Group 4 in light of the considerable evidence supporting the significant health benefits of coffee consumption including protection against Parkinson’s disease, liver disease, type 2 diabetes and liver cancer.